This Friday, October 6th marks the third annual Bowl For Ronnie Celebrity Bowling Tournament, benefiting the Ronnie James Dio Stand Up and Shout Cancer Fund. Taking place at Pinz Bowling Center in Studio City, CA, the event aims to raise more funds to benefit cancer research and education – last year’s Bowl For Ronnie brought in $36,500 for the cancer charity, which is now in its eighth year of raising awareness and much-needed funding for cancer research. Bowl For Ronnie is giving fans a chance to bid for a spot on one of this year’s competing teams! The teams available to join are captained by drive time deejay Gary Moore and Stew Herrera of Los Angeles’ rock radio station KLOS, and event host and renowned heavy metal personality/DJ Eddie Trunk, whose team took the top prize trophy last year. Bid for your chance to win a spot on Team KLOS here or Team Eddie Trunk here. In addition to bowling with rockers, each package includes red carpet entry and access to the VIP pre-party. All funds raised will benefit the Ronnie James Dio Stand Up and Shout Cancer Fund. Hurry, bidding for the KLOS lane ends on Wednesday at 6:30PM PT and Eddie Trunk’s lane ends on Wednesday at 7 PM PT. Members of last year’s winning team are expected to bowl again this year, among them Tom Morello, Jeff Scott Soto and Rock Feinstein. In addition to previously announced celebrity bowlers and attendees, Bowl For Ronnie is pleased to announce that new additions Sebastian Bach, Ira Black (Lizzy Borden), Calico Cooper (Beasto Blanco, actress and daughter of Alice Cooper), Jimmy DeAnda, (Lynch Mob, Bullet Boys, Lies Deceit, Treachery), Mikkey Dee (Motörhead, Scorpions), Phil Demmel (Machine Head), Star Fields (actor, Sons of Anarchy), Bob Kulick (KISS, Meat Loaf, W.A.S.P., Grammy-winning producer), Chris Latham (Beasto Blanco), Roy Z (Halford), Mike Sweda (Bullet Boys and Lies, Deceit & Treachery), Shane Tesheart (Lies, Deceit & Treachery), Lonnie Vincent (Bullet Boys and Lies, Deceit & Treachery), guitarist Brent Woods and Ahmet Zappa will join the fun. These celebrities join previously announced attendees and/or bowlers Steven Adler (formerly of Guns N’ Roses), Doug Aldrich (Dio), Ann Boleyn (Hellion), Vinny Appice (Dio), Phil Buckman (Fuel), Jimmy Burkhard (Billy Idol), Fred Coury (Cinderella), Robbie Crane and Ricky Warwick of Black Star Riders, Juan Croucier (Ratt), Christine Devine (Fox 11 News), Shawn Duncan and Matt Duncan of DC4, Marc Ferrari (Cold Sweat), Dio Disciples members Bjorn Englen, Simon Wright, Scott Warren and Joe Retta, Chris Hager (Rough Cutt), Sonia Harley, Rita Haney, Marty O’Brien, Dave “Chili” Moreno (Puddle of Mudd), Sean McNabb (Lynch Mob), Budderside members Colin Reid, Rowan Robertson (Dio, DC4), Rich Sacco, Michael Stone and Patrick Stone, Brian Tichy (Whitesnake), Joey Vera (Armored Saint), and Chas West. The event kicks off at 6:30 PM with open bowling and a VIP pre-party for lane sponsors, celebrities and their guests. Celebrity bowling will commence at 9PM, with fierce competition for a variety of trophies. In additionto competing with his team, radio personality Eddie Trunk will once again host the event. 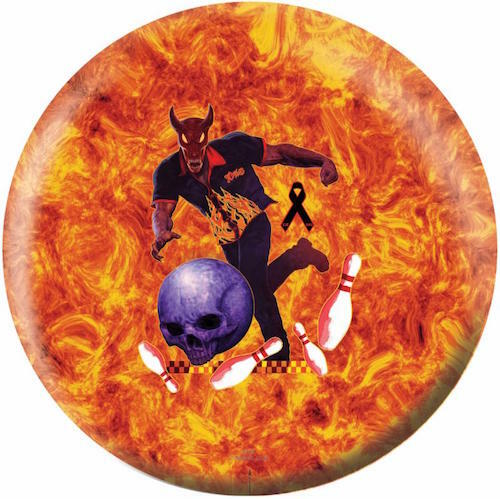 100% of the net proceeds from the Bowl For Ronnie will go to the Dio Cancer Fund. Individual tickets and lane sponsorships are now on sale, and participants are encouraged to gather friends, family and co-workers for the ultimate bowling team. The Pinz Bowling Center is located at 12655 Ventura Blvd in Studio City, California.